”Out of Africa always comes something new” wrote the Roman historian Pliny, (23-79 A.D.) With Mummar Qaddafi gone from Libyan, this old adage will almost certainly gain new meaning because Qaddafi was not only the dictator who ruled Libya with the whip for 40 years, he was a major power in African affairs. He sought to unify Africa under his leadership and saw himself as "King of all the African tribes." 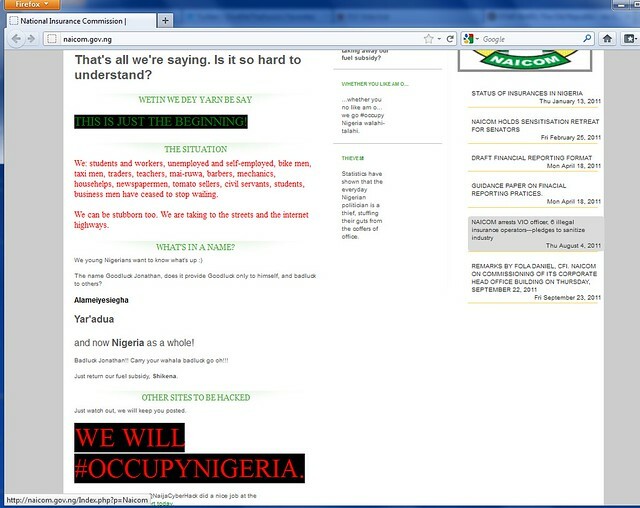 Well, with the kickoff of Occupy Nigeria, we are seeing something new in Africa today. Nigeria is the most populous country in Africa, 160 million people or 1 in 6 Africans live in Nigeria, so any movement there is bound to have a big impact on the whole continent. Could this have anything to do with Qaddafi's recent demise and the success of the revolution in Libya? These are the main questions I wish to touch upon in this article. But first a quick update for those that have not been glued to news out of Africa all day. 3 people were killed and at least another 20 were injured as Nigerian state security used tear gas and rubber bullets and finally resorted to live ammunition in attempts to suppress mass protests in Lagos and other major cities in Nigeria. Except for the rallies, the streets were eerily empty, and shops and businesses closed as most of the country was brought to a grinding halt by a nationwide general strike which its organizers have named "Occupy Nigeria." 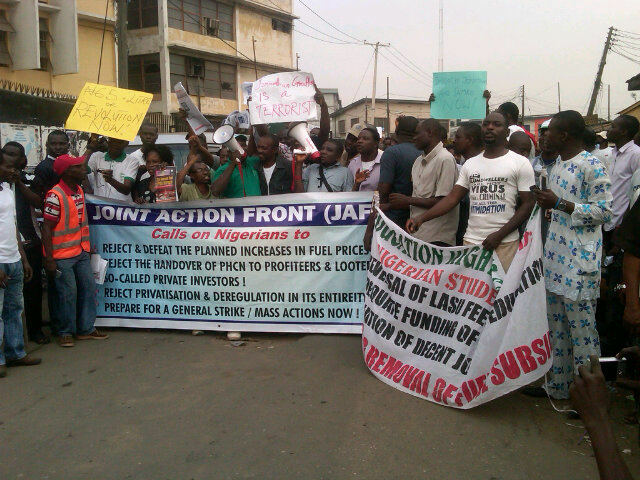 This nationwide general strike was sparked by the government's decision to discontinue fuel subsidies. This resulted in a more than doubling of gasoline prices overnight. Nigeria exports more crude oil than any other African country, but only has refinery capacity for 25% of its own needs. It must import, at great expense, most of the gasoline it uses and the government subsidies make the cost bearable in a country where most people live on less than $2 a day. In fact, most Nigerians see the fuel subsidy as the only benefit of being an oil rich nation that trickles down to ordinary people. 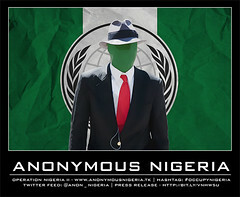 It is so symbolic of the way this movement has circled the globe in one year that they have named it Occupy Nigeria because this is an obvious nod to Occupy Wall St. and the occupy movement which got its impulse from the Arab Spring which began in another African country, Tunisia, just north of Nigeria. It is very significant that Occupy Nigeria is taking place all across the country and has been able to unite people across tribal, ethnic and religious lines. 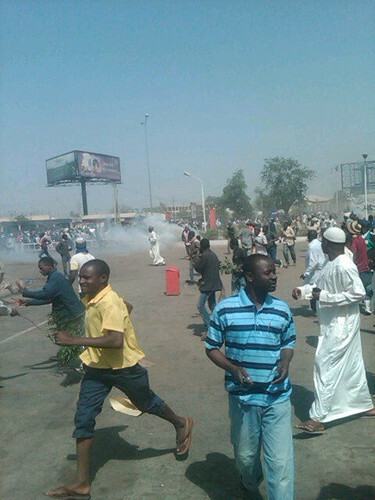 Nigeria has a long history of religious strife that has threatened to tear the country apart. Most recently Nigeria was in the news because of the Christmas bombings of Christian churches by the Islamic extremist group Boko Haram. Those terrorist attacks killed dozens of Nigerians. For historical reasons Nigeria has been pretty evenly divided between Muslims and Christians with the Muslims concentrated in the North and the Christians concentrated in the South. This religious difference has been the main locus of conflict in Nigeria with most of the North states implementing Sharia law and the indigenous Salafist group, Boko Haram trying to be the Taliban of Nigeria. Slain Libyan leader, Col. Muammar Gaddafi was a major sponsor of terrorism activities and religious fundamentalism in the country, resulting in his supply of arms and ammunition to sectarian groups during religious uprisings, terrorist attacks and even the post elections violence that rocked the nation soon after the 2011 presidential elections, Saturday Vanguard has learnt. Security sources disclosed that they had been aware of the intention of Col. Gaddafi to instigate the destabilization of Nigeria with a view to bringing to fruition, his proclamation early this year, that Nigeria would disintegrate into several parts unless the country was divided into two, with North going their own way and the South forming their own country. Saturday Vanguard was told that it was in his bid to make this happen, that Col Gaddafi massively funded the construction of Mosques and other Islamic Centers of worship in Kano and other cities of the North. He was also said to have embarked on several humanitarian donations and visits to Kano and these other Northern states, most times unannounced, after which he would journey back to his country. “There were also several visits by several top and influential Northerners, especially those of the Islamic faith to Libya ostensibly on the invitation of the late Libyan leader when he was alive and held sway in Tripoli before the revolution against him started which security agencies were aware of and we closely monitored these persons”, the source said. Asked to give an example of how and when the security agencies discovered Gaddafi’s plan against Nigeria, the source said, “As far back as 2003 and 2004, some armed bandits who had been terrorizing Adamawa, Yobe, Kano states, were caught with about 40 double barrels, lethal rifles, machine guns and ammunition. So why did Nigeria keep quiet all these years till Gaddafi had problems with his people? The source said he was not in a position to explain, adding that such answer can only come from the federal government. "I was invited by the Libyan government and given a scholarship to go study Islam," he said. "When I arrived in Libya, they thought that I had revolutionary ideas, so I became close to the leadership and I started talking to them." He talked to Gaddafi as late as 2010 and has acknowledged receiving money from him but now that Qaddafi is dead he says his movement is on "sabbatical." 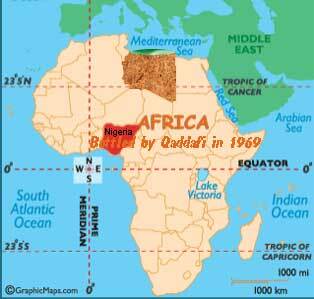 Gaddhafi was the chief sponsor of terrorist activities in the Niger Delta and in the North. Listen to Asari Dokubo and you will see reasons. Now he's gone, no more funds for them to carry out terrorist attacks against the state of Nigeria. As might be expected of one who fashioned himself king of all Africans, Mummar Qaddafi had a long history of cultivating close ties with Africa's most populous state and while Nigeria doesn't share a common boundary with Libya, it is very easy to travel overland between the two without much government interference. The countries in between, Niger, Chad, Mali, Burkina Faso and Northern Sudan all are weak states with little or no control of their international boundaries. Nigeria, for example has over a thousand border entry points but only 25 of those are peopled! "More than 200 Nigerians were arrested in Libya by the TNC, while about 20 were executed last week on allegations of supporting Gaddafi, as mercenaries." Three are known to have died in his service. More have returned to Nigeria now that the fighting has ended, along with thousands of Nigerian immigrant laborers displaced by the upheaval in Libya. There has also been a problem with Libyan weapons showing up in Nigeria now that they are being used less in Libya, and more significantly, some of Qaddafi's senior leadership is said to have fled to Nigeria. All of this has no doubt had a destabilizing effect on Nigeria, but it is mostly a short term effect. Even the recent carnage created by Boko Haram can probably best be seen as a rather desperate explosion by a movement that just lost a major sponsor and knows that it will soon be weaker. the unbridled sense of euphoria sweeping Libya and even Nigeria at the fall of a man who dominated his country – and to some extent, the continent – for 42 years. MAIDUGURI, Nigeria (AP) — An hours-long gun battle raged Saturday in a northern Nigerian city that's the spiritual home of a radical Islamist sect, and a car bomb exploded during a gun fight with members of the group in another city in the restive region, authorities said. At least six people were killed. 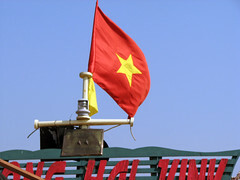 Recently the sect rejected efforts to began indirect talks with the government and now the government is pressing its military campaign against them with renewed vigor. 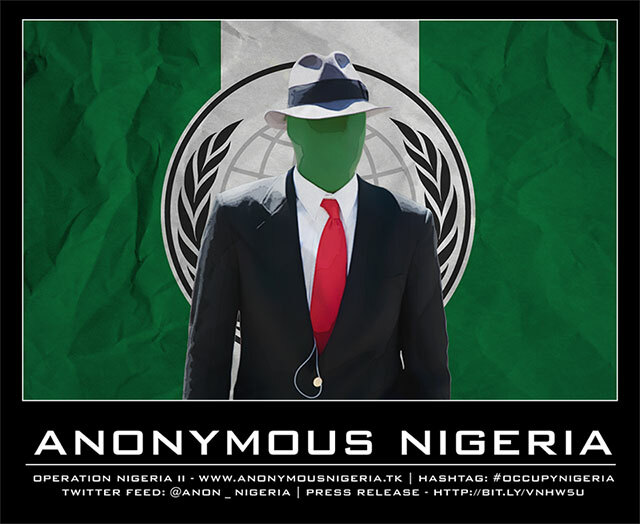 Meanwhile the Occupy Nigeria movement, like the occupy movement everywhere, continues its growth outside of the lime light, as example by this article two days ago: Occupy Nigeria: Nneka on the "Vagabonds in Power"